Stevens Music Entertainment announces the release of 3 new singles from Daphne. Daphne was introduced over 3 months ago to the music world as “The Next Big Thing” out of Cameroon. Her first single “Rastafari” lived up to all expectations and is still in rotation on TV and Radio stations around the world. “Daphne has great potential, a lovely and mature voice…and definitely possesses the ability to explore various genres” Paola Audrey, Media Personality. Having established herself as an “uncompromising vocalist”, Daphne is back with three new songs off her forthcoming album. 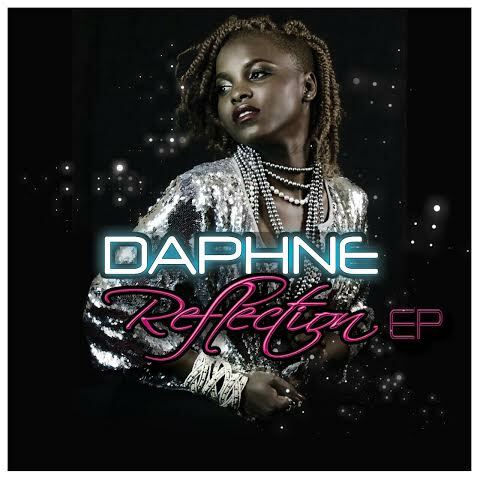 The songs show Daphne’s versatility as her vocals ride effortlessly on a Pop/Dancehall beat on “Reflection”, a soulful Afro-pop beat on “Broken” and a Makossa-Zouk infused beat on “Ndolo”. “These tracks will no doubt establish Daphne as one of the best songwriters and vocalists out of Cameroon”. Fointama Besia, TV Personality. The theme of love continues on “Broken”, a song about a girl who’s been hurt and left broken-hearted. “This song is a chapter in everyone’s love book,” says Daphne. “Especially for girls…(she laughs)…you want to love again but you are so scared…’cause you are broken”. Her third single seems to be a solution for the first two. After being jilted on “Reflection” and left “Broken”, Daphne turns to the “food of the soul…the reason why we laugh, the reason why we cry, the reason why we smile, the reason why we live” – Ndolo (Love). She personifies love as God. “God is so beautiful, and will always be the pillar of my being,” says Daphne. “I turn to God for everything” she continues. My message with the three songs is simple. “When you feel let down and broken into pieces, you need to reflect…reflection will lead you to the truth, will lead you to love…to God (Ndolo)”. Daphne continues to work on her debut album to be released in 2015. These songs will continue to showcase her as a force to reckon with in the Cameroon and African music industry. The maestro AnyKindBeats produced all three songs with Shan and Oga doing additional production on “Ndolo”. Celine V Fotso, Media Personality. The songs will be released on itunes and other digital outlets on Nov 17th. “I am looking forward to interacting with fans and getting their feedback on these songs. The songs were written with them in mind, so their feedback is important to me,” concludes Daphne.